In these dire times for MMA, full of negativity, filth, zealotry, and degeneracy, let us gather and appreciate this fight promotion lesson given by the one and only American Gangster from the mean streets of West Linn, Oregon. Very informative video as usual from The Bad Guy. Haj01, Mahkor, SalvadorAllende and 3 others like this. One of his best is when he was talking about someone littering in West Linn. Classic Chael. Canned Tuna, Haj01 and Psychedelic like this. MMA_enthusiast, and 68 others like this, Mmaprovost and 2 others like this. Can't they just fight with honor and conduct themselves with integrity? Fighters want respect but they don't respect each other or themselves. Mohawk Banditó and BringOnTheDubs like this. I wish Chael read books for audio tapes. BoD 2.0 and Psychedelic like this. 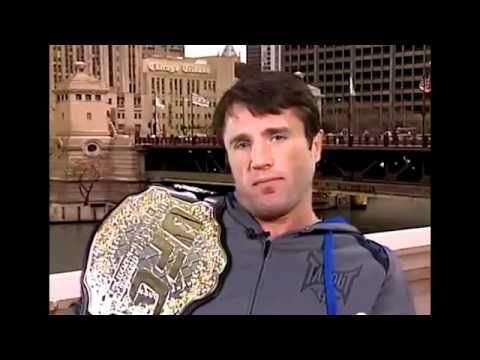 This is why UFC should provides a promo class with Chael as the instructor. Katsumi Yamada and Mohawk Banditó like this. Its kinda like this......you can only "conduct" yourself with honor and integrity.....if you "possess" honor and integrity.....otherwise its a challenge!